It can be used for any iPhone 5/4S GSM WCDMA 3G card. 1. SAMSIM adopts the newest customize IF 608 chipset. The running speed is obvious faster than the old chipset F981,L1S3, F300,STM101, lower power, UA grade, and it support the protective program if the SIM card temperature is too high. 2. 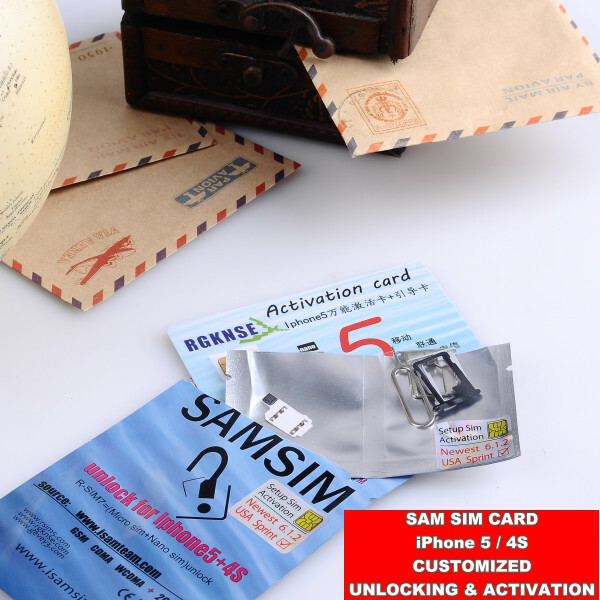 SAMSIM support all WCDMA 3G SIM card in the world. Just install the patch is Ok, eary to install, no need to complex steps. 3. 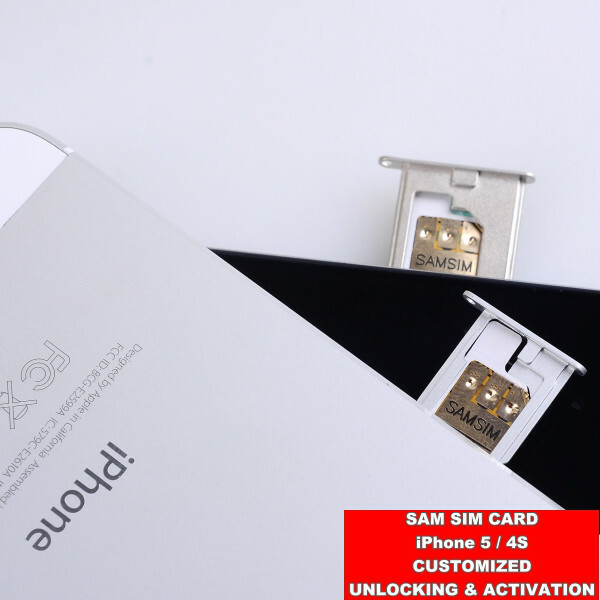 SAMSIM work for both iPhone 4S and 5. It will come with the professional sim tray for iPhone 4S and 5, and this sim tray have been obtained the patent. 4. 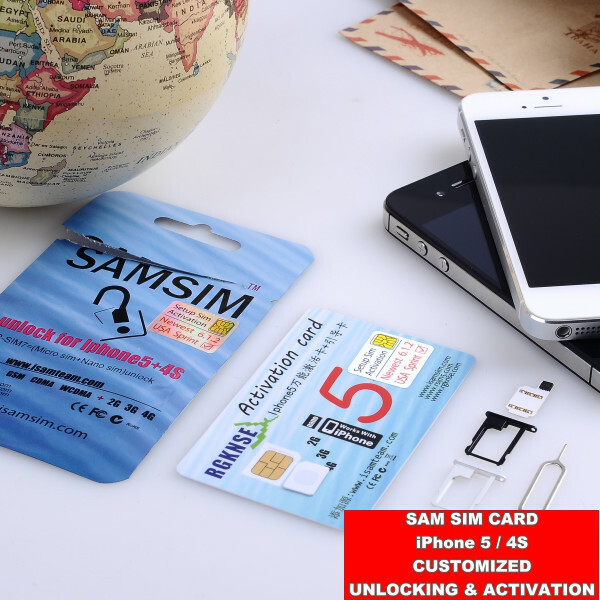 SAMSIM support more than 20 country default version, such as : Default Sprint, Verzion, AU,SB, Vodafone, Orange etc....just play and plug. If you want to change other carrier, you only to use the activation guide card to choose the carier name is OK.
6. Easy package, full guidance. With R-SIM & SIMSIM team stong technology support, very perfect,and professional!